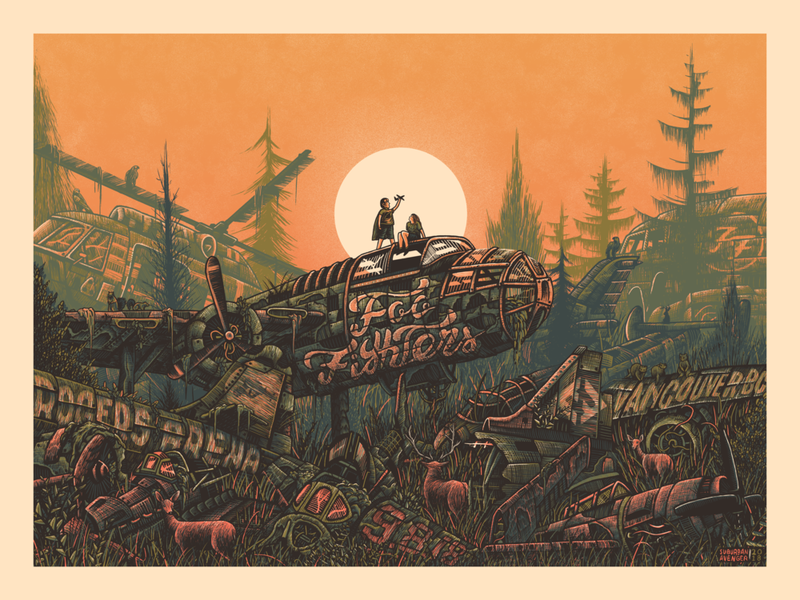 This is NUTS - beyond, absolutely BEYOND honored to share our poster for FOO FIGHTERS vancouver show. I poured so much of myself into this poster, even now that it’s all done it still doesn’t quite feel real. a million thanks to jeff and brittany and everyone at livenation for making this happen, and to the hardworking hands at endhymns for doing an absolutely phenomenal print job. everything fell into place better than I could have ever imagined.